Fiber Optic Enclosure: What to Benefit From It? In data centers, there are a variety of cable management accessories used in collocation with enterprise network components, such as fiber optic patch panel, fiber optic enclosure and cable ties. In my previous post – Patch Panel vs Switch: What’s the Difference? – I have introduced the role of fiber optic patch panel as a cable management tool. Fiber optic enclosure/fiber optic box is also a frequently used tool for rack cabling solution. This post will introduce fiber enclosure and what we can benefit from it. What Is Fiber Optic Enclosure? Fiber enclosure/fiber spice box may refer to an empty box or an intact unit after installation. A loaded fiber optic box contains installed assembly units to connect and separate various fiber optic cables. Usually fiber optic enclosure unloaded comes with 1U/2U/4U available, which can house corresponding quantity of fiber optic cassettes or fiber patch panels. Some people mention fiber optic enclosure and fiber optic patch panel as the same thing since they are matching devices. 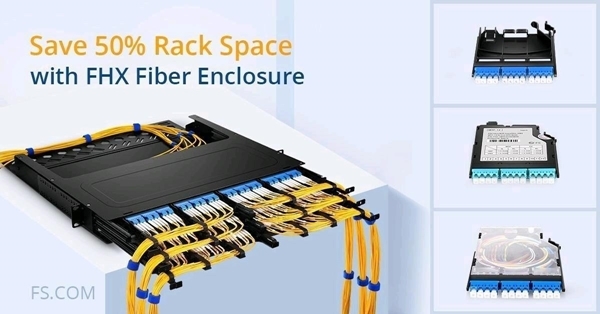 Figure 1: FS slide-out 1U rack mount FHD fiber optic enclosure interior structure in data center fiber cabling application. What to Benefit From Fiber Optic Enclosure? 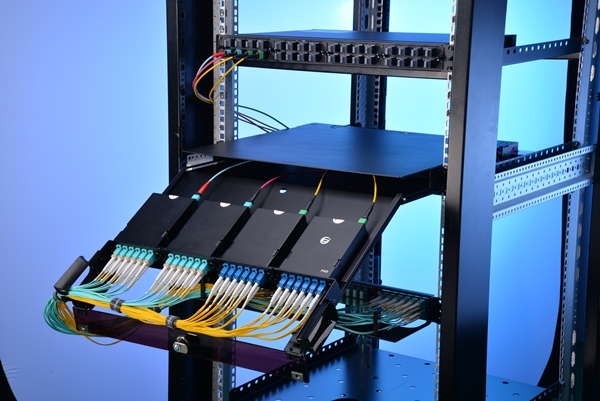 In general, fiber enclosure functions cable management in data centers for a clean and tidy cabling environment. It houses and fix fiber optic patch panel or fiber optic cassettes in a box for better management and protection. Fiber optic enclosure inside accessories such as fiber slack management spool provides a proper bend radius for cables and helps to route, manage and store fibers. Different types of adapters installed-in enable various incoming fibers to be terminated in high density and protected them from damage. Fiber optic enclosure has different types available. They may differ from configurations such as fiber enclosure rack mount and fiber enclosure wall mount. Further, rack mount enclosure has different open-close designs, rack unit sizes, and patch panel/cassettes capacities. Different types of fiber optic enclosures cater for different deployment scenarios. Wall mount enclosure usually fits for wall mount applications such as cross-connection in telecommunication room. Fiber enclosure rack mount is a very popular one for rack cabling solution in cabinet. Rack mount enclosures have two models available in FS.COM: slide-out type and cover removable type. By using slide-out rack mount fiber optic enclosure, you don’t need to remove the enclosure from the rack for internal access. The transparent cover also allows fiber check under cover close state. This facilitates cabling management, maintenance and installation process. Fiber optic enclosure also provides high density cabling while FHD and FHX fiber enclosure rack mount are designed. FHD fiber enclosures come with 1U, 2U and 4U model, correspondingly housing 4/8/12 FHD fiber adapter panels or 12 x FHD MPO/MTP cassettes and allow terminate 96/192/228 fibers. FHX rack mount enclosure is an ultra HD fiber optic enclosure, which holds up to 144 fibers in a compact 1U form factor to largely save you rack space. Figure 2: FS FHX ultra HD fiber enclosure rack mount holds up to 12 FHX MPO/MTP – 12 cassettes/fiber optic adapter panels (144 fibers) in 1U. Fiber optic enclosure is a box to load fiber optic patch panel/fiber optic cassettes and other accessories in to provide a cable management solution for fiber cabling. Fiber enclosure ensures a tidy cabling environment and protects fragile fibers from outside damage. Also, the elaborate design of various types of fiber optic enclosures allows different deployment scenarios and better caters for specific requirements. Fiber enclosure rack mount or fiber enclosure wall mount enclosure provides optional mount applications. Slide-out and transparent cover enables convenient inspection and maintenance. FHD rack mount fiber optic enclosure offers high density fiber termination in 1/2/4RU options. FHX ultra HD rack mount enclosure achieves high density fiber capacity in space-saving 1RU. This entry was posted in Cable Management and tagged Fiber Cabling, Fiber enclosure, fiber enclosure rack mount, fiber optic enclosure, fiber optic patch panel by Sylvie.Liu. Bookmark the permalink.